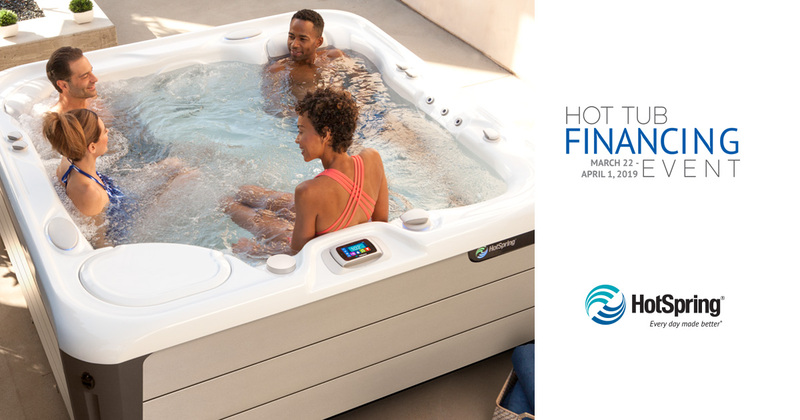 During our Hot Tub Financing Event, take advantage of our 0% APR for 60 months offer. 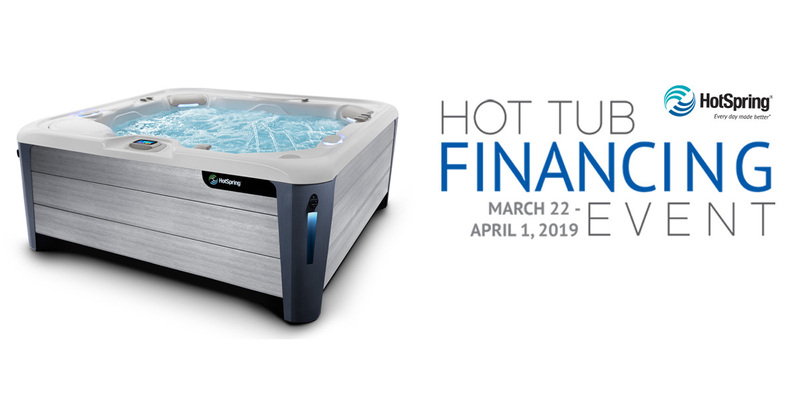 Now is the time to own the world’s #1 selling hot tub brand. 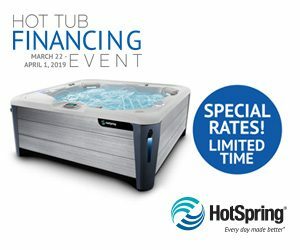 Hot Spring Spas is offering special financing on new Highlife and Limelight Collection hot tubs. Don’t miss this special limited time offer going on March 22 through April 1, 2019. Subject to credit approval. Terms and conditions apply. Please fill out the form below and one of our Wellness Specialists will reach out to you with more information or stop into our showroom at any time!